Please join us for our annual 5K Run/Walk to raise critical support for Friends of Israel Disabled Veterans (FIDV), which supports Beit Halochem centers in Jerusalem, Tel Aviv, Haifa and Beer Sheva. Beit Halochem provides rehabilitation, recreational, and social services to disabled Israeli veterans and their families, and survivors of terror. 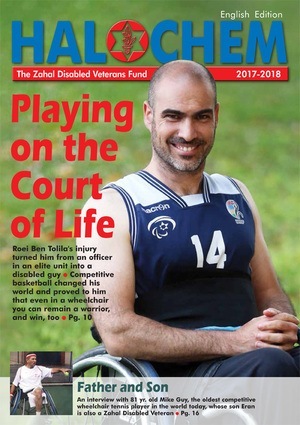 Disabled Israeli veterans trained at Beit Halochem have gone on to win medals in international competitions, in various sports, including those held in London in 2012. Today more than 51,000 disabled veterans and victims of terror are given a new lease on life at Beit Halochem. With your help, we can continue to offer the support they need to regain self-confidence, dignity and control of their lives. Help make tomorrow possible for those who have already given so much. Click here for directions and further information. Click here to download a race application. Share the experience: Ask your friends, family and colleagues to join us on April 21 on this five kilometer journey in support of Israel’s disabled war heroes and survivors of terror. Be a part of the solution.